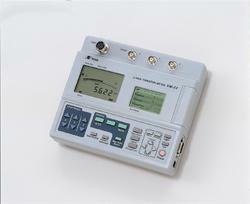 Manufacturer of a wide range of products which include rion vm-63c pocketable vibration meter, vm-230/240 acoustical volume meter, vm-83 general purpose vibration meter, vm-54 multi application tri-axial vibration meter, rion accelerometers (used in rion vibration meters) and uv-15 vibration meter unit. The Rion VM-63C Vibration Meter is a compact, portable vibration meter for equipment diagnosis and on-site measurements. The Rion VM-63C Vibration Meter has the capability to measure Acceleration, Velocity as well as Displacement. 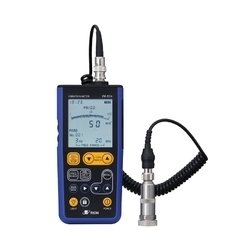 The Rion VM-230/VM-240 Acoustic Capacity meters are unique devices which allow the user to determine the capacity/density of the object utilizing acoustic principles. 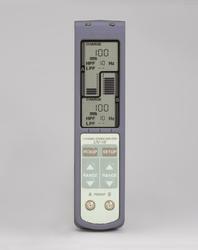 The Capacity meters work regardless of the shape of the object and are extremely simple and easy to use. 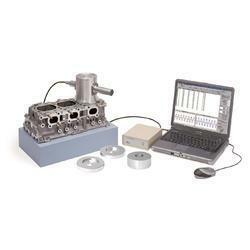 They are ideal for measurements during the research and development of engines as they allow for fast accurate measurements with excellent repeatability. The Rion VM-83 Vibration Meter is a compact, portable vibration meter for equipment diagnosis and on-site measurements with the flexibility to operate in a variety of conditions. 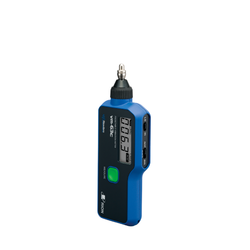 The VM-83 has the ability to connect to various kinds of accelerometers depending on the users application needs. The Rion VM-83 Vibration Meter has the capability to measure Acceleration, Velocity as well as Displacement. The Rion VM-54 3-Axis Vibration Meter is a system developed to measure vibrations related to humans. · Variety of Accelerometers available for a variety of different conditions such as seat vibration measurement, floor vibration measurement etc. * 3-Axis output signal for connection to frequency analyser, data recorder or other waveform recording device. 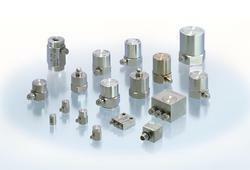 Rion has a wide range of accelerometers which are suitable across a wide range of applications. Rion’s accelerometers are piezoelectric type accelerometers with both Shear type as well as Compression type’s available. Also available are a series of preamplifiers to allow for the connection of the Rion Accelerometers to a wide variety of Rion equipment. * Usable in wide temperature and humidity range. The Rion UV-15 Vibration Level Meter Unit is a standalone continuous vibration level measurement unit which expands into a Multi-Channel measurement system of up to 16 channels. The Rion UV-15 Vibration Level Meter Unit can also be combined with the Rion UN-14 Sound Level Meter Unit to provide a combination of continuous Sound and Vibration measurement. Boasting TEDS compliance, it allows the user to connect any TEDS compliant accelerometer and begin measurements. 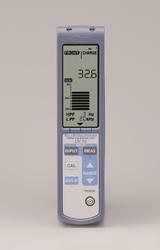 Genral purpose vibration meter used for genearla inspection of industrial machinery. acceleartion, veocity and dsiplacement measruement.